NATO launches a new multinational force in Romania today (9th Oct) in its latest step to counter Russia's south-western flank, and to check a growing Russian presence in the Black Sea following Vladimir Putin's illegal seizure and annexation of Crimea in 2014. The force will initially comprise troops from 10 NATO countries including Italy and Canada, as well as Romania. The land, air and sea deployments will compliment some 900 US troops already in place. Our purpose is peace, not war...We are not a threat for Russia, but we need an allied strategy in the long term, we need dialogue from a strong position of defence and discouragement. Russia continuously accuses NATO of trying to encircle the country and threatening stability in eastern Europe, something which NATO denies. However, the move will seriously unsettle Russia's southern flank , as on the shores of the Black Sea Romania, Bulgaria and Turkey are already NATO members, while Georgia and Ukraine, whose armed forces are increasingly integrating with NATO, also aspire to join. Details of the new force size are currently unclear. NATO officials said the land component of the force involves a brigade-size multinational NATO force, typically some 3,000 to 4,000 troops. 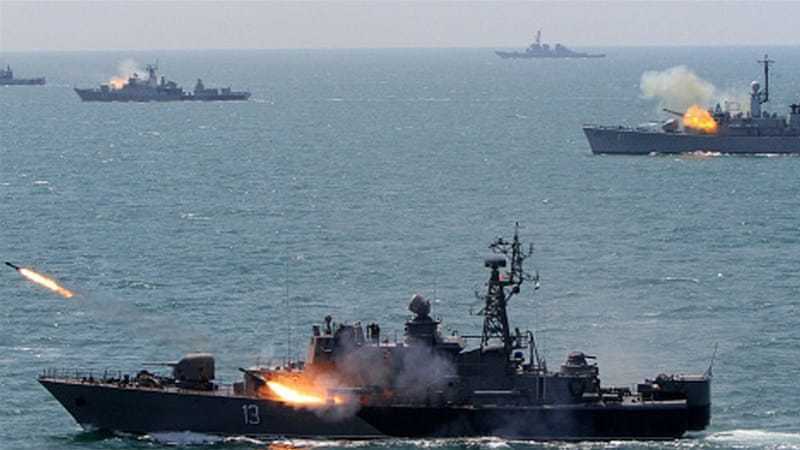 In additional to existing NATO Black Sea naval patrols, a maritime presence will include more allied visits to Romanian and Bulgarian ports, enhanced training and exercises of a limited scale. Britain's Royal Air Force is already deploying fighter planes to Romania, with Canadian military aircraft also known to be active in Romanian air space: Aeronautica Militare, Italy's Air Force, is currently enhancing patrol activities in Bulgarian air space. The majority of the land forces comprise Romanian troops, in keeping with the tried and tested NATO doctrine of having "local boots" on the ground - troops who know well the terrain on which they may be called upon to fight - and who will have affinity with, and the support of, the local population.